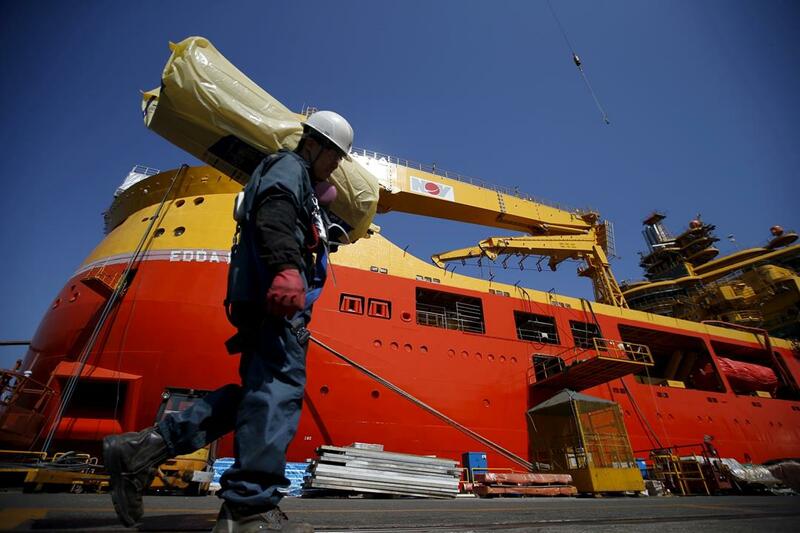 The biggest engineering task underway at South Korea’s enormous shipyards is aimed at changing the global landscape for shipbuilding. The merger of Hyundai Heavy Industries Co. and Daewoo Shipbuilding & Marine Engineering Co. promises to create a behemoth controlling 20% of the world’s market for new ships. 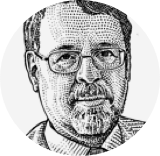 More important, the WSJ Logistics Report’s Costas Paris writes in a Shipping Matters column, the combined yards will hold more than half the global order book for new liquefied natural gas carriers, the high-cost, high-yield vessels that are helping reset the world’s energy markets. The combination also would leave rival yards in China and Japan struggling to compete, raising new questions about state support in a region where shipbuilding is a vital part of industrial economies. With big LNG vessel orders in hand or in the pipeline, the tie-up is a bet that shipping’s future will be fueled by natural gas. A wave of bankruptcies is sweeping across the U.S. Farm Belt as trade disputes take a toll on businesses already hurt by low commodity prices. Federal data shows that bankruptcies in the major farm states last year rose to the highest level in at least 10 years, the WSJ’s Jesse Newman and Jacob Bunge report, representing a reckoning for rural America and businesses closely tied to the agriculture sector. A multiyear slump in prices for farm commodities has been made worse by growing competition from exporting powerhouses, and retaliation for U.S. steel and aluminum tariffs has slashed shipments to big buyers. Mounting debts have sparked fears of more farm closures among both large-scale farms and small family-run operations, and agribusinesses such as Archer Daniels Midland Co. and Cargill Inc. are also feeling the heat, with tariffs roiling the flow of goods and in some cases cutting into profits. Retailer J.C. Penney Co. is changing its strategy and its supply chain again. The department store chain will stop selling major appliances at the end of this month and will scale back furniture sales, the WSJ’s Michael Dabaie reports, as the struggling business cuts inventory and focuses on apparel sales. The shift effectively reverses a strategy Penney undertook a couple of years ago as it focused on appliances at the expense of clothing in a bid for a new, more profitable identity in a changing retail market. E-commerce competitors have moved into heavier goods, exacerbating the financial pressure on department stores that spread large amounts of inventory across stores. Penney says it now is “optimizing the allocation of store space,” but the chain’s challenges run deeper. The company has had an upheaval in its leadership and Fitch Ratings Inc. last month downgraded its debt one notch closer to junk. Global blue-chip companies are intensifying efforts to increase transparency in their supply chains. The latest Global Supply Chain Report by CDP, a nonprofit environmental disclosure platform, shows the number of companies asking suppliers about their environmental practices has grown six times over in the past decade. The WSJ’s Maitane Sardon reports a total of 115 companies wielding purchasing power of more than $3.3 trillion requested environmental information from their key suppliers in 2018. That still marks a relatively small percentage of businesses—5,500 companies were surveyed—but CDP says it signals “a fundamental shift in expectations around business action on sustainability.” The group says suppliers to those 115 companies cut their carbon dioxide emissions last year by some 633 million metric tons. — American Trucking Associations CEO Chris Spears, on infrastructure spending. Annual decline in seaborne imports of cars and light trucks into the U.S. in January, according to Panjiva.